Mobile storage is something that not everyone needs, but if you do, you probably need as much of it as possible. That can get costly, quickly, so being able to save some money can be super important. 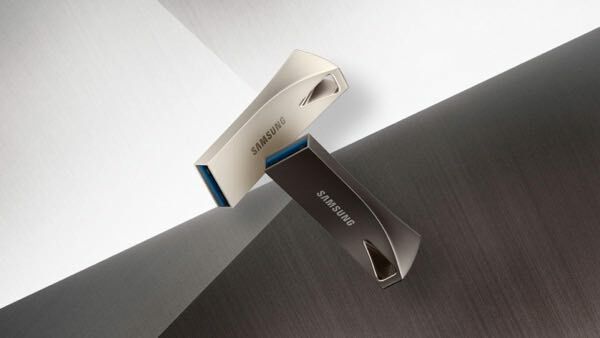 That’s the situation right now if you’re in the market for a USB drive, because you can get your hands on a Samsung BAR Plus in 128GB guise for almost 50% off. Available in both silver and black colors, the BAR Plus is aimed at ultimate portability, and to that end it’s designed to live on a keychain rather than in a bag. It’s super quick too, with USB 3.1 speeds of up to 300MB/s, and with the whole thing being made of metal, you’re not likely to break it any time soon. Of the two colors, the best deal right now is the silver which can be yours for just $23.74. If you’d rather the black version, that too is pretty cheap at just $24.99. No matter which color you go for, you’re going to get a great deal.